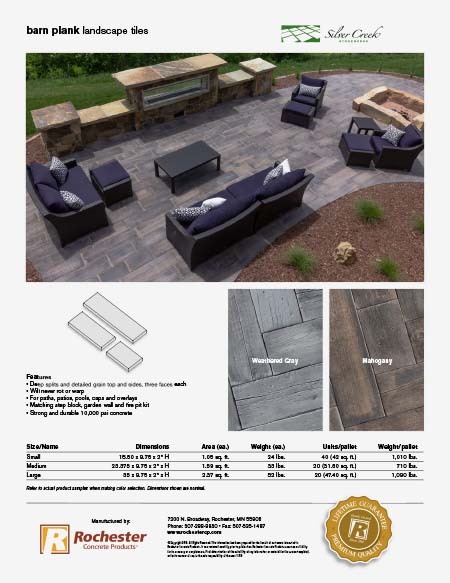 Designed as a perfect companion to Barn Plank™ Landscape tiles, this step is unlike anything in hardscapes. Its detailed grain is different on all sides making it easy to alternate riser faces, and unlike wood timbers, wet cast concrete will last indefinitely. Available by pallet or each.